Brisbane Posts and Beams can supply a pre-swaged system that saves approximately 40% installation time. The job is supplied with the wires hydraulically swaged to fittings. All we need is the measurements (inside of post to inside of post) . Please check with your span measurements with certifier prior to ordering wire. 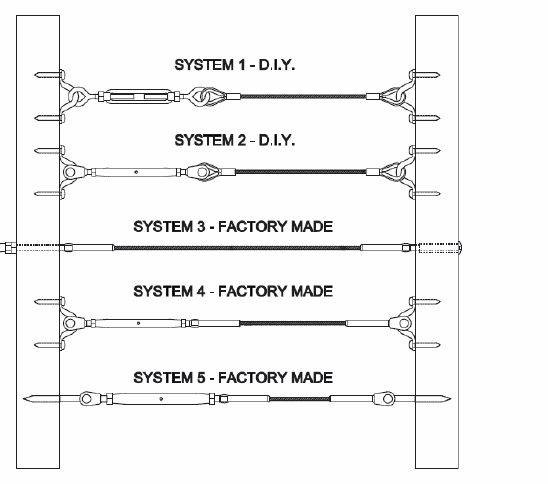 Please click here for wire construction info sheet. For jobs outside of these specifications please contact our friendly staff for technical help.